Mathematical models of environmental problems often demand understanding of complex dynamics and interactions between many physical and biological variables on the one hand, and human inputs on the other. Uncertainties accompanying such models stem from multiple sources. Sometimes they manifest themselves as cascading errors and at other times they involve the risk of key variables crossing undesirable thresholds. In both cases they undermine confidence in either the model or, worse still, the underlying science. We discuss these issues with illustrations from certain generic areas such as models of fishery management and integrated climate change models. 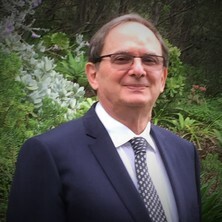 Jerzy Filar is Professor of Applied Mathematics and Director of the Centre for Applications in Natural Resource Mathematics (CARM), at the University of Queensland. In that capacity he works closely with scientists from Queensland’s Department of Agriculture and Fisheries on sustainable fishery management. Jerzy is a broadly trained applied mathematician with research interests spanning a wide spectrum of both theoretical and applied topics in Operations Research, Optimisation, Game Theory, Applied Probability and Environmental Modelling. He spent the first thirteen years of his academic career in the US, which included appointments at the University of Minnesota, The Johns Hopkins University and the University of Maryland and long-term consulting for the Environmental Protection Agency in Washington, DC. He returned to Australia in 1992 where he first worked at the University of South Australia and later at Flinders and the University of Queensland. He is the editor-in-chief of Springer’s Environmental Modelling and Assessment. Jerzy is also a Fellow of the Australian Mathematical Society. He has supervised, or co-supervised, to completion 26 PhD students who are working in various universities, industries and research institutions in Australia, USA, Canada, China, Morocco, Austria and France. As a hobby he dabbles in writing science fiction which, unlike mathematics, does not need to be correct to be interesting.